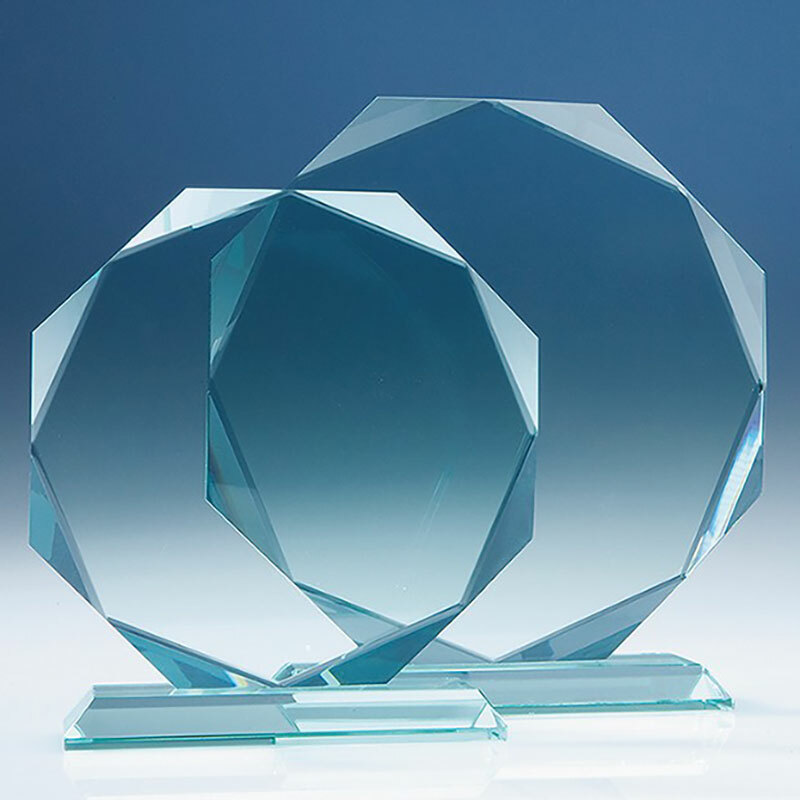 Facet octagon design flat glass awards in 15mm thick jade glass. free-standing plaque in stylish octagon shape with facet cut, on bevelled rectangular base. 8in tall by 7.5in wide, offered with low, fixed-cost text engraving and free logo engraving. Colour branding option available, please use the Request Quote form. This stylish award is a real all-rounder. It features an octagonal award crafted in 15mm thick jade glass, with a pronounced facet that creates the effect of a double octagon. The whole piece sits on a bevelled rectangular base. 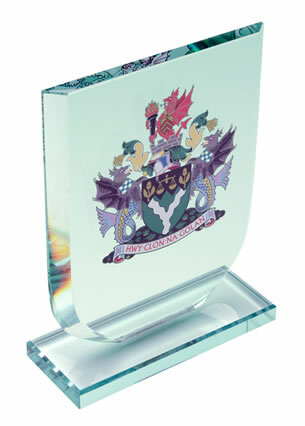 This multi-sided award is suitable for a wide range of presentations and competitions, from corporate recognition awards to sporting prizes to commemorative items. 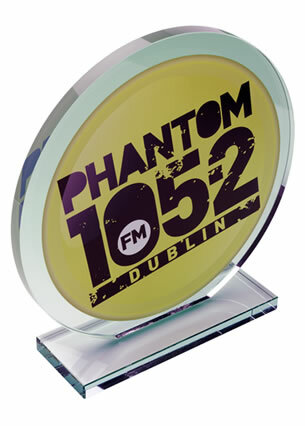 They can be engraved on the flat front of the award, and are offered here with low-cost engraving of text and logos. 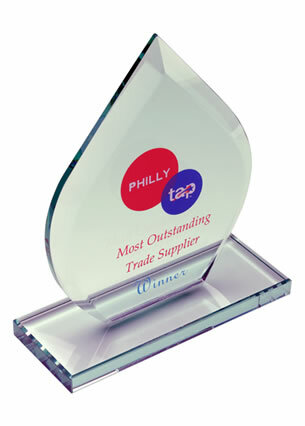 These versatile crystal awards are supplied complete with an attractive foam-lined presentation box.